What is it? Why we love it and how to get the look. 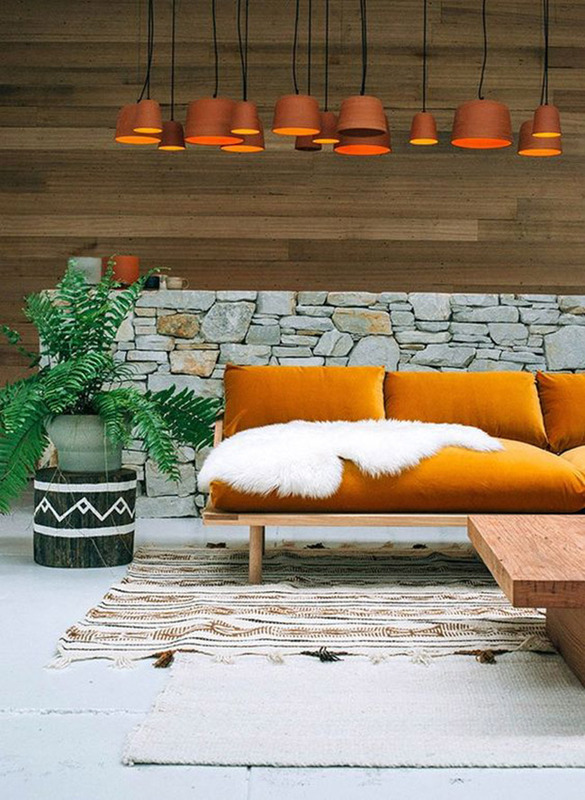 In recent years, an earthy gutsy interiors trend has emerged. It is a look that has inspired us to lay bare the beautiful bones of our homes in all their authenticity. This modern rustic look suits our current mood of austerity and has offered a wonderful alternative to the flashy decorating of the past. Modern rustic style embodies the honest details; with soaring rafters, reclaimed wood and exposed stonewalls jostling for Centre stage with materials, furniture and textiles from the natural world to create a style that is just bursting with unpretentious beauty. Modern rustic as its name suggests is all about embracing rustic charm and warmth whilst combining it with the convenience of modern amenities. It’s about creating a home that feels grounded, authentic and safe rather than self-conscious and over styled. What a great departure from the stiff overbearing rooms of the past! The style is relaxed, enveloping, sumptuous and calm. 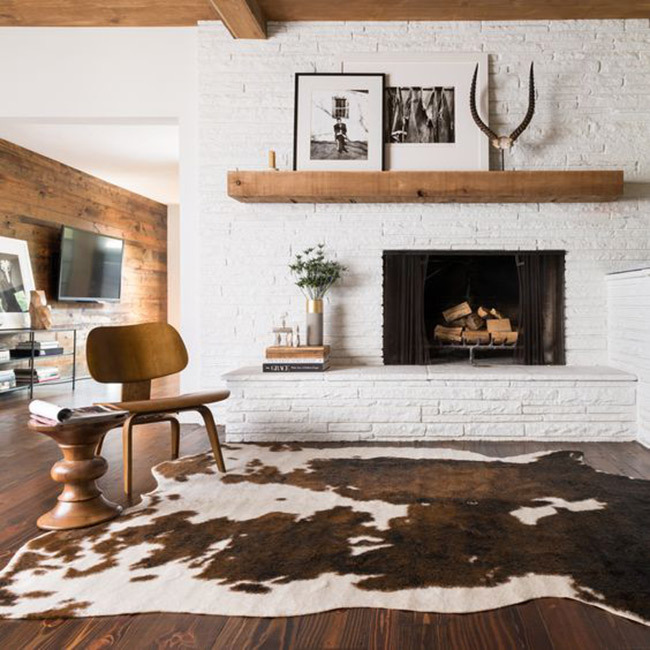 Modern rustic incorporates the latest interior design know how and exciting contemporary materials with muted colours, natural materials, sensual textures and artisan furniture to create a look that is as soothing as it is striking. This style brings such effortless character to any blank-canvas home, whether that is an architect- designed house or a featureless flat, giving it depth, soul and masses of earthy appeal. A modern rustic home relies on a handful of gorgeous materials; it really is all in this details with this trend. These elements are perhaps the most important feature of a modern rustic home. Exposed brick walls and stone fireplaces bring rough texture to the interior, while warm wood in every finish from silky smooth to weather-beaten, creates an atmosphere of profound calm. Some houses come packed with these original features such as wooden floorboards, stonewalls and exposed beams (lets dream!!) If you’re building or renovating plan to expose these architectural features. Chip back that plaster, remove that ceiling to expose a soaring roof or add these handsome finishes yourself. Clad walls in timber and bring in the stonemasons to transform your space. Modern rustic style makes great use of textiles. They are central to the live ability of this look. 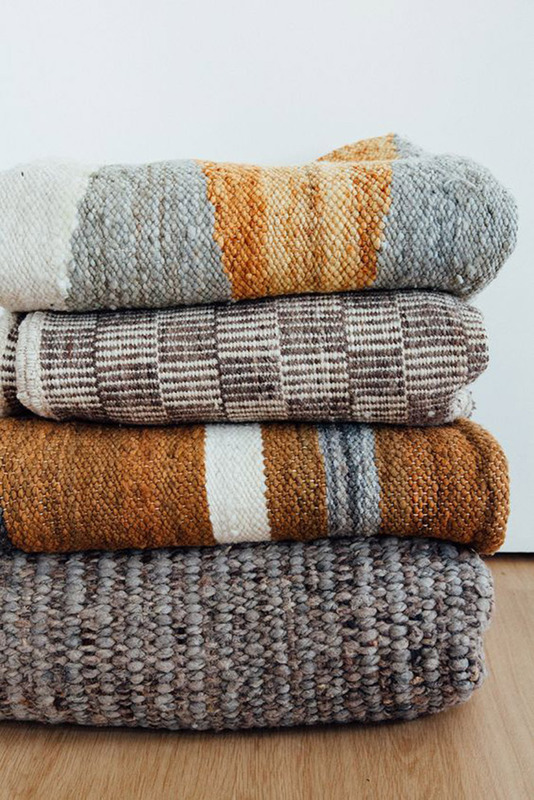 They bring the essential softness to all these earthy, raw materials. They are the stylistic glue of this trend! Favour cool cottons, heavy linens and soft plush velvet’s. Tactile, woven and heavily knitted items also fit in well. Stick to natural colours working back with charcoal greys, warm whites, ochre’s and soft beiges to create a sophisticated neutral backdrop. 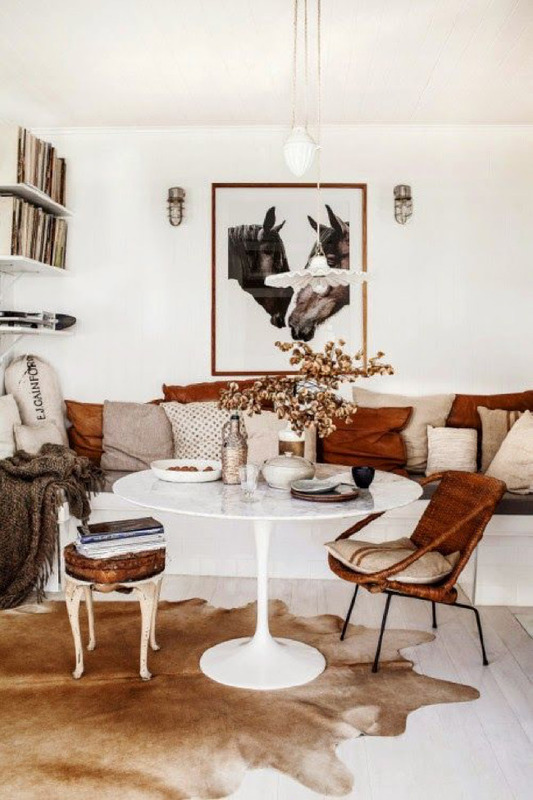 Think shaggy sheepskins offering textural contrast with a home made wooden bench seat; while cotton and linen covered cushions are casually scattered about for comfort. 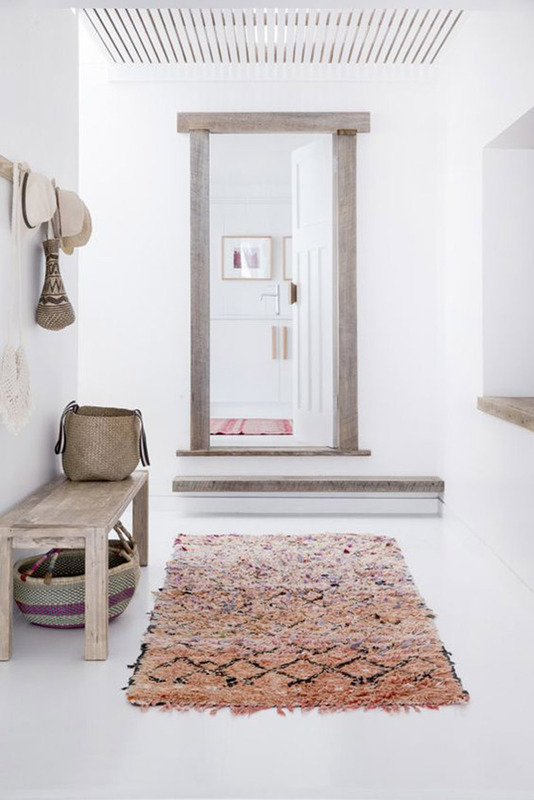 Adorning modern concrete or timber floors with hides and vintage kilims patterned in organic shapes is another striking way to bring sophistication and drama to the modern rustic look. The recent movement towards jute and sisal rugs often woven into magnificent shapes will also work beautifully within this look. Are you swooning yet? Big windows are another extremely important feature of the modern rustic home. In fact, this is a feature that satisfies both rustic interiors and modern sensibilities, making it a decisive design component to this style. A modern home is always open and full of light, making windows a trademark element. Similarly, rustics want their space to feel as close to the outdoors as possible, therefore an easy sightline to the outdoors is a modern rustics top priority! Think big, open and view defining. Many kinds of furniture suit the modern rustic home. Pieces should be beautifully designed and predominately made from natural materials. Mid century inspired furniture pieces are made for this style with their unadorned leather and wood being a perfect material match. Keep kitchens modern with rustic accents; cover a wall with vintage bread boards or add slubby linen covers to open shelving units. 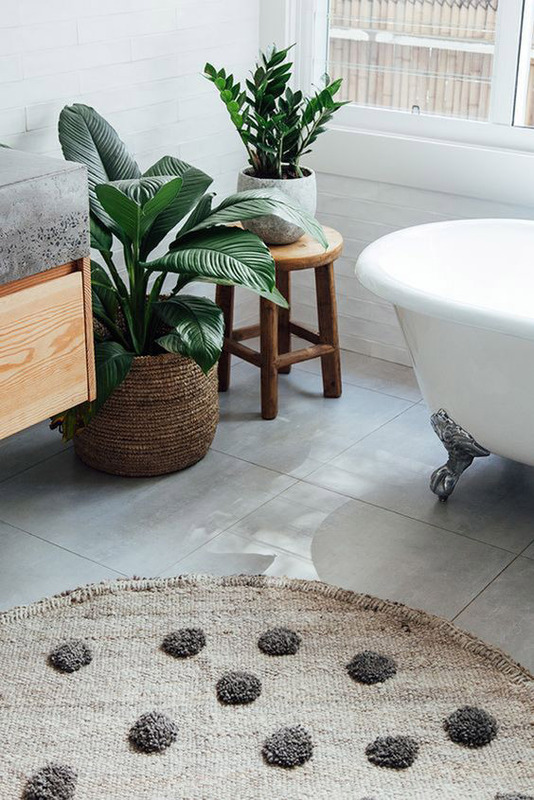 Pull together a rustic inspired bathroom by adding an old fashioned stand alone bathtub to an otherwise modern mix. Try to stick to a pallete of uniform colours and materials to keep the look cohesive. Keep clutter to a minimum. Opt for pieces with weight and presence; but remember the key is think rustic NOT farmhouse when selecting. Lighting in the modern rustic scheme needs serious consideration. When natural materials are used abundantly, a space can look stark and forbidding. Raw surfaces and deep, matt colours tend to swallow light, too, so ample sources of both natural and artificial light are vital. Lighting is highly functional in this trend, but can also bring much drama and glamour to a space, so remember to work in a handful of lights that both work hard and look gorgeous. 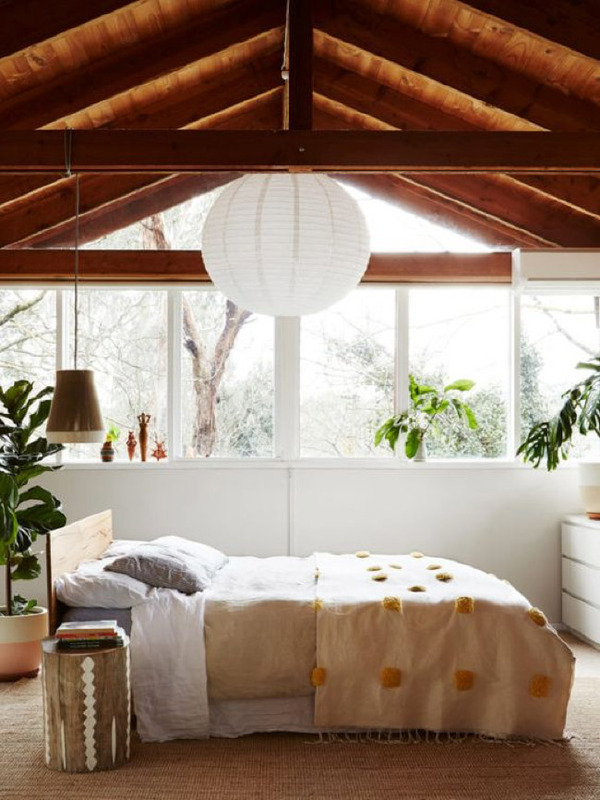 Hang an oversized wicker lampshade low over a rustic dining table or cluster a collection of monochrome candles and tea lights together on a bedside table to create a flickering of ambient light. Let's all take a collective deep breath, ditch those paint charts, put away the wallpaper swatches and welcome the natural world inside our homes. I promise you will be forever satisfied.